India’s rich heritage transcends in-depth knowledge of our historical and political past. Heritage monuments and architecture are the treasures of a nation and symbolises the pride of Indian civilisation. Monuments are connected over the past, and it also has an emotional attachment to the people living around the space. We have seen the destruction of culturally important heritage monuments due to climate change, weather and human activity these threaten many heritage sites of national and international significance for documenting, preserving and conserving these monuments are very important. It is important to digitally document, appropriately record and document the cultural significance. The physical experience obtained when people visit the monuments, will be translated to the digital medium. And the aim is to recreate the digital experience much nearer to the original experience of the physical monument. And to create a knowledge base for the future, parallel communicating the form, style, design, culture and history to next generation. To preserve the rich cultural heritage in India without altering the physical structures. 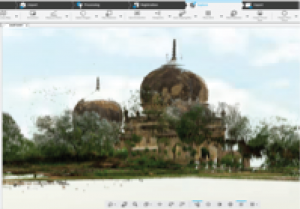 Presenting the structures in the virtual reality space is excellent for promoting the tourism in India. Historical monuments are not just famous for their infrastructure and history but also because of the folklores and culturally rich heritage behind it. 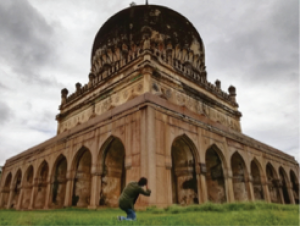 The current project aims at preserving the Oral History of Qutub Shahi through a 360-degree virtual reality animation. These are a part of Oral Traditions originating in popular culture, typically passed on by word of mouth from one generation to another. Virtually depicting these stories in the form of animation will contribute to preserving the intangible medium into a tangible one. Hayat Bakshi Begum was probably the most influential lady of medieval Deccan. She lorded over the affairs of the Golconda kingdom first as a daughter, then consort and finally as Queen Mother during the reign of three kings of the Qutub Shahi dynasty. Being the only child of Mohammad Quli, the founder of Hyderabad, she took charge of palace administration early in her life. Her marriage to Sultan Mohammad, a kinsman who succeeded to the throne, ensured that she remained in charge of the citadel exercising influence over not only the functioning of the palace administration but also in public affairs. A short narrative of the life of Hayad Bakshi Begum in the form of a 360-degree virtual animation which aims to give an immersive visual experience of folktales for the viewer. Folktale-a story originating in popular culture typically passed on by word of mouth. Virtual Reality- The computer-generated simulation of a three-dimensional image or environment that can be interacted with in a seemingly real or physical way by a person using special electronic equipment, such as a helmet with a screen inside or gloves fitted with sensors. 360 degree animation-360-degree animation is an audiovisual simulation of an altered, augmented or substituted environment that surrounds the user, allowing them to look around them in all directions, just as they can in real life. They have to move to see the character and the action happening in the surrounding environment. To recreate the history and culture of Telangana through Virtual Reality Animation. To preserve culture of Telangana through the medium of Animation Film. Cutout animation- Cutout animation is a technique for producing stop-animations by using flat characters, props and backgrounds cut from materials such as paper, card, stiff fabric or even photographs. Deccani painting-Deccani painting is a Deccan form of miniature painting, evolved in southwestern India, also known as Deccan during the inception of Bahmani Sultanate in 1347 AD. The style developed under the patronage of Deccan Sultanates and lasted until the extinct of the Qutb Shahi Dynasty in 1687 AD. 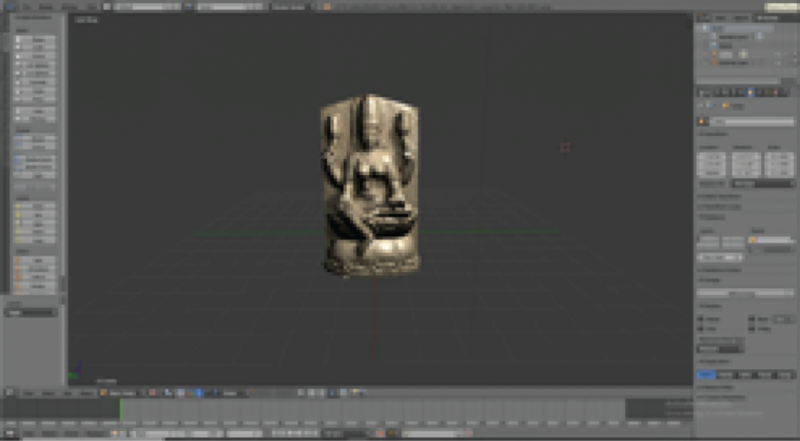 Cultural Animation-A way of preserving culture through the use of computer-generated animation. Design education is the teaching of theory and application in the design of products, services and environments. Design education is learning how to apply practical methods, prior knowledge, and natural talent to solve new problems. It is also referred to as Creative Education. The mission is to introduce Design subject in schools as the part of pedagogy. Design is the practice of intentional creation to enhance the world. It is a field of doing and making, creating great products and services that fit human needs, that delight and inform. 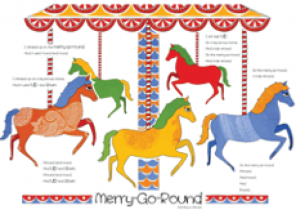 This outcome of the project on re-designing the English chapter on ‘merry-go-round’ of Class 1, aims to enhance the experience of children while reading the subject content. Clean layouts, a clear hierarchy with the use of font size and colour play, should enable children to absorb the information more effectively and enjoyable. The project has also attempted to incorporate Indian art form of henna through the illustration style with colours inspired by Indian paintings like Madhubani. The intention of this practice is to passively educate children towards Indian art forms, according to their age. With the progression of class, the children can be further introduced to the gradual rise in the complexity of Indian art forms like warli, Madhubani, miniature, and so on. The first standard visually illustrated with origami which will create design thinking in children. Origami is used as an inclusive term for all folding practices. The goal is to transform a flat square sheet of paper into a finished sculpture through folding and sculpting techniques. 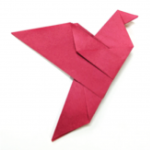 Modern origami practitioners generally discourage the use of cuts, glue, or markings on the paper. 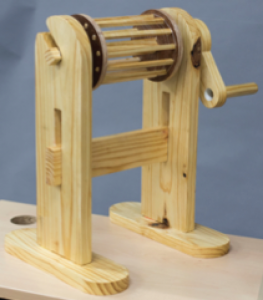 2) colour-coded self-assembly silk reeling kit made from wood that is inspired from the indigenous craft of silk reeling. These products aim to encourage non-academic skills while learning the syllabus. The product is currently under testing and refinement.